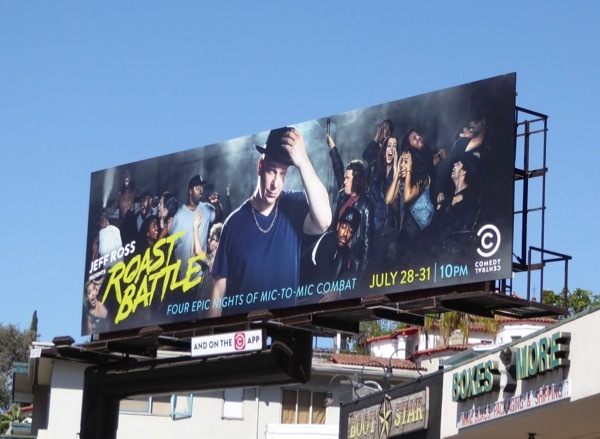 Following the recent high-profile Roast of Bruce Willis on Comedy Central, roastmaster Jeff Ross is back to present another season of mic-to-mic combat with Roast Battle. 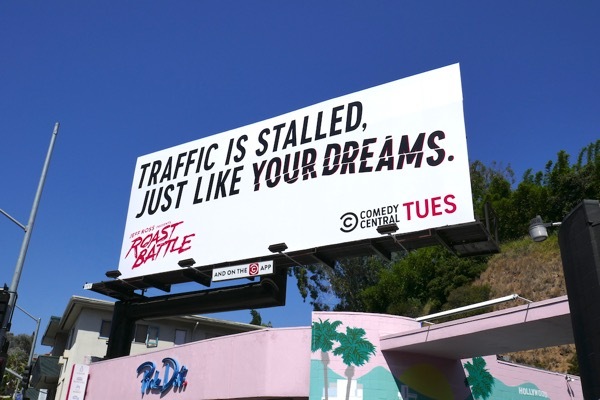 These cutting comments in billboard form are the perfect vehicle for the comedy roast, whether you're stuck in traffic or just trying to live the Hollywood dream. These ads prove that with clever copy, great design and the right typography, you don't need a fancy visual to stand out in the city skyline. 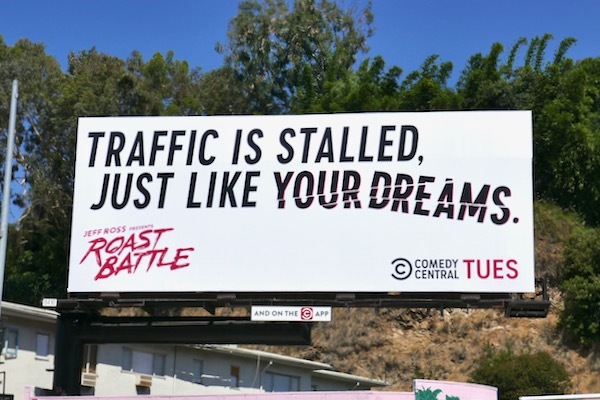 These impactful copy-only billboards were spotted along Sunset Boulevard and Olympic Boulevard from July 30 to August 3, 2018. 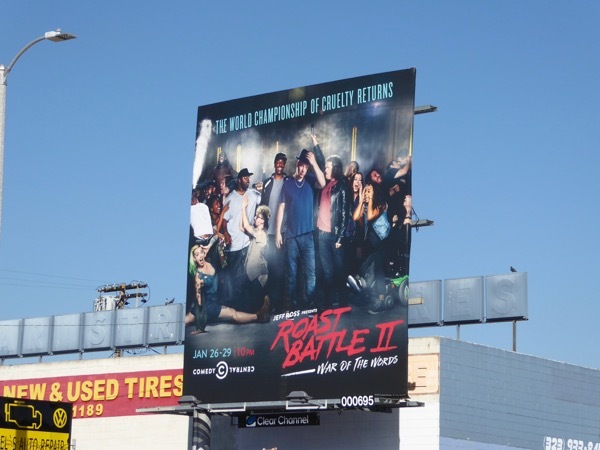 If you want a comparison, then you can also check out this busy Roast Battle billboard photographed along the Sunset Strip on July 27, 2016. 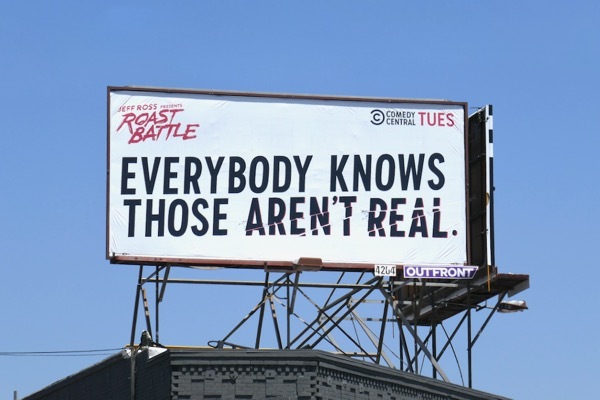 And this other example for Roast Battle II: War of the Words spied along La Brea Avenue in January 2017. 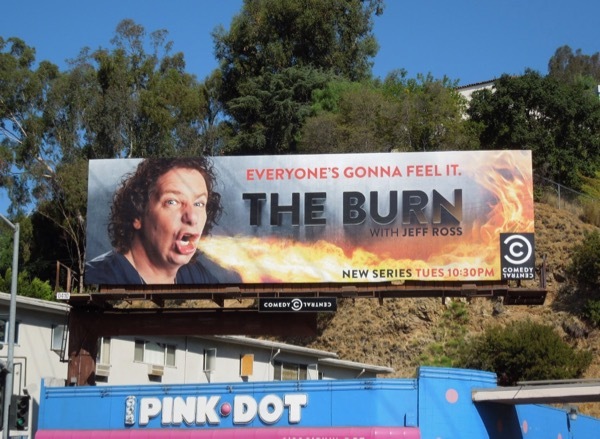 Plus fans of the comic can also check out this timely Jeff Ross Roasts the Border billboard in the same location from November 6, 2017, and a fiery billboard for the comedy panel show which ran for two seasons, The Burn with Jeff Ross, which was spotted on August 14, 2012. 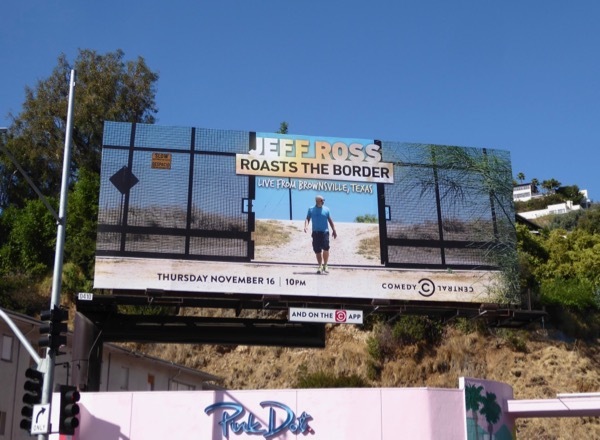 Meanwhile for more celebrity roasts, make sure you check this Roast of Justin Bieber billboard and these Roast of James Franco billboards. 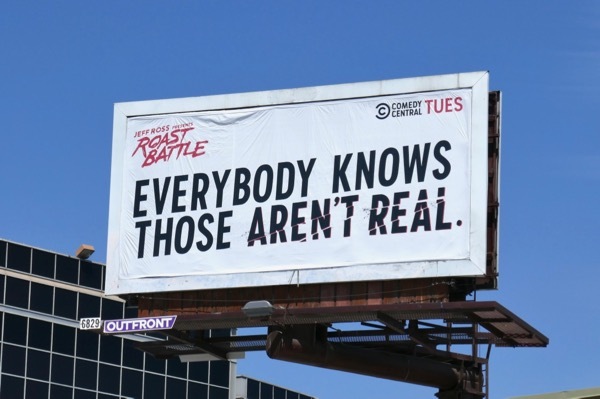 It looks like the library is open on Roast Battle, so let the best dueling comedian win.